3. Pay: Lieutenant - Rs. 56,100 - 1,77,500, Captain - 61,300-1,93,900, Major - 69,400-2,07,200, Lieutenant Colonel - 1,21,200-2,12,400, Colonel - 1,30,600-2,15,900, Brigadier - 1,39,600-2,17,600, Major General - 1,44,200-2,18,200, Lieutenant General HAG Scale - 1,82,200-2,24,100, Lieutenant General HAG +Scale - 2,05,400-2,24,400, COAS - 2,50,000/-(fixed). 1. 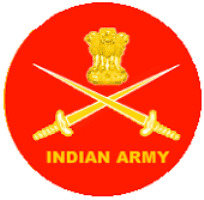 Applications will only be accepted online on website “www.joinindianarmy.nic.in”. Click on ‘Officer Entry Apply/Login’ and then click ‘Registration’. Fill the online registration form after reading the instructions carefully. After getting registered, click on ‘Apply Online’ under Dashboard. A page ‘Officers Selection – Eligibility’ will open. Then click ‘Apply’ shown against Technical Graduate Course. 2. A page ‘Application Form’ will open. Read the instructions carefully and click ‘Continue’ to fill details as required under various segments. Personal information, Communication details, Education details and details of previous SSB. ‘Save & Continue’ each time before you go to the next segment. After filling details on the last segment, you will move to a page ‘Summary of your information’ wherein you can check and edit the entries already made. 3. Then click on ‘Submit Now’ only after carefully ascertaining that the correct details have been filled in. Candidates must click ‘Submit Now’ each time they open the application for editing. The candidates are required to take out two copies of their application having Roll Number, 30 minutes after final closure of online application. Online Application will Open on 10th Apr 2019 at 12.00 HRS, and will be closed on 09th may 2019 at 12.00 hrs.